For good reasons the environment has a high political profile in Scotland. 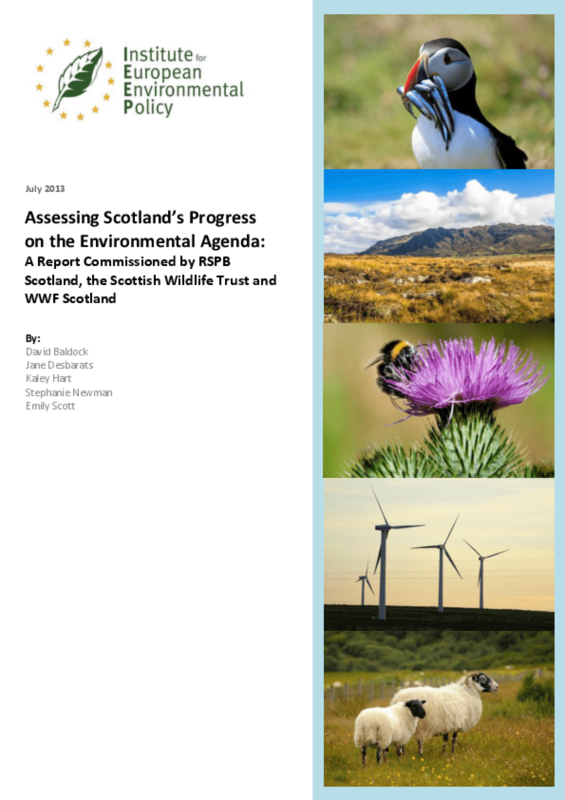 This report is concerned with three important components of the environmental agenda and the way in which they are being taken forward by the responsible authorities in Scotland. The delivery of environmental outcomes on agricultural land by means of a range of current policies, including agri-environment schemes, cross-compliance conditions on direct payments to farmers and implementation of the EU Water Framework Directive. The selection and management of a new network of Marine Protected Areas. Policy measures designed to reduce greenhouse gas emissions and to mitigate climate change. Each of these topics is addressed individually in three separate chapters, aiming to identify some of the leading questions and the policy responses that have been adopted. The progress that is being made in meeting the objectives and aspirations set out in legislation and other key policy documents is then considered. Some of the objectives under review are determined entirely by the Government and by more local authorities in Scotland. Others arise primarily from obligations under EU legislation. Copyright 2013 Institute for European Environmental Policy.